The See Through Metal Wardrobe Cabinet is a great product manufactured by Tennsco. 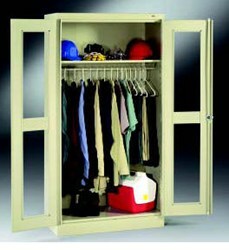 The See Through Metal Wardrobe Cabinet is a very popular product. It does not surprise us that it is popular considering that it is manufactured by Tennsco. It is time for A Plus Warehouse to announce its product of the day. 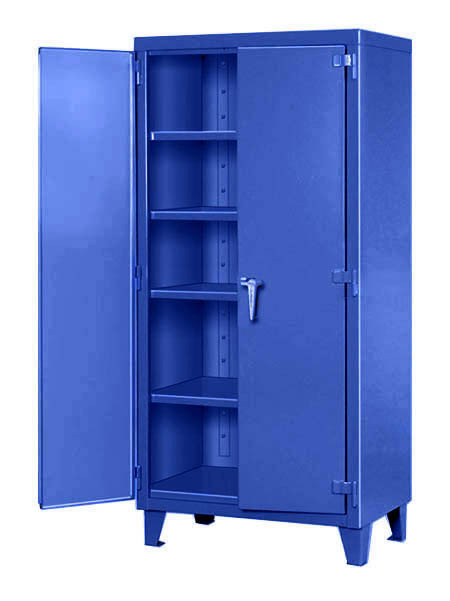 Today, that product is the See Through Metal Wardrobe Cabinet. This an excellent cabinet made by an excellent manufacturer. According to Ed Stairman, president of A Plus Warehouse, “The See Through Metal Wardrobe Cabinet is a very popular product. It does not surprise us that it is popular considering that it is manufactured by Tennsco.” As Ed suggests, Tennsco is a very trusted name in manufacturing. In fact, it is so popular that A Plus Warehouse has a page dedicated to Tennsco cabinets. 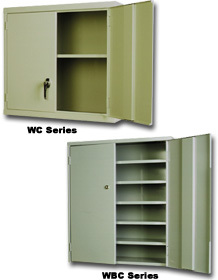 In the Tennsco cabinet page, several different types of cabinets are listed. These cabinets include but are not limited to storage cabinets, wardrobe cabinets, and combination cabinets. Customers may wonder why A Plus Warehouse has a whole page dedicated to Tennsco cabinets. To answer this question, customers must learn about the company. First of all, many Tennsco products ship within 24-48 hours. This is a very impressive and quick shipment time. On the same token, the items are also carefully packaged so that items are hardly ever damaged. The company provides the lowest damage rate in the industry. Of course the actual Tennsco product is great. Tennsco invest in the most advanced production methods in the industry including items such as laser cutters and roll formers. As mentioned earlier, the product of the day is the See Through Metal Wardrobe Cabinet. 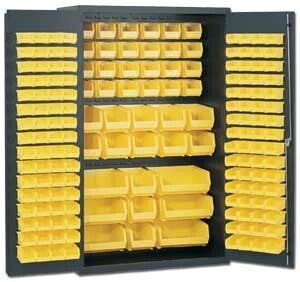 This is a very attractive cabinet yet durable for warehouse and office environments. See through is also a great feature if a customer needs to see what employees are putting inside these cabinets. This cabinet also includes one full width shelf and a clothing rod. This top shelf could be used for a hat possibly. This cabinet is shown in the picture to the right. This cabinet is also available with vented louvers as well as elevating feet for a bit higher price. This version has more sturdy hinges and is made of heavier duty steel as well. Either way, both the standard and premium package are available unassembled or fully assembled and ready to use. The fully assembled version saves time where as the unassembled version saves money.